Since 2010, we’ve helped over 2.4 million people to improve their lives using digital, driving positive outcomes from employment through to health and wellbeing. We are looking for an individual who is collaborative and communicative both internally and externally, and someone who always delivers what they say they will. You’ll embrace change, and help us to bring our team with us. You’ll thrive in a fast-paced environment, while also bringing order and focus to complex situations. You will embody our culture and continue to support and embed this across the organisation. You’ll guide the organisation as we continually change and evolve – growing and extending our impact. You will have outstanding organisational and leadership abilities – a demonstrable passion and commitment for continuous improvement and for human motivation and empathy. In addition, you will be excellent at building relationships across teams and you will have the ability to create trust. 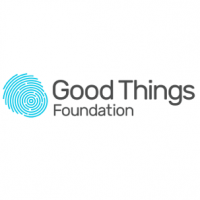 To apply, please read the full job description then complete an application form and Equality and Diversity Monitoring Form and submit alongside your CV to recruitment@goodthingsfoundation.org by 24 February 2019 (midnight).